EA Sports UFC 3 is a fighting video game featuring mixed martial arts developed by EA Canada & published by EA Sports. Conor McGregor, the cover fighter of earlier version return as cover fighter of EA Sports UFC 3. EA Sports UFC 3 was released on 2 February 2018 for PS4 & Xbox One. We have mentioned few things that you need to know before you play EA Sports UFC 3 Career Mode. You can build your own fighter in the career mode. You will have your first few career fights which will help you enter UFC. 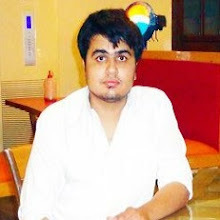 If you do not perform well, you will have to engage in few more fights or you will go through Ultimate Fighter. It is upto you how you enter UFC & you will make choice of which of the 8th training camps to build your home at. At the center of career mode is a goal of becoming the best fighter. UFC 2 did not feature any ultimate goal to work for. You need to finish 6 out of 10 performance goals that contain getting a certain no. of finishes, post fight awards, submission, wins & more - 2 promotion records that is attached to the credit you make, followers you add on social media & main events. You can train, learn, promote or spar. Train allows you to do a series of exercises that will help you enhance your stats. Learn will let you enter a fight against an opponent to unlock a new move or perk. Promote will present you with choices of how you want to hype yourself that include posting on social media or streaming games on Twitch. It is important to shape your fighter before you enter fight. Spar will let you join up with a fighter that will be matching your next fight & reward you with a key to success that will inform you how you need to approach your next bout. Your decisions throughout the training camp, your performance in earlier fight & the type of rival you are fighting, all add to Fight Hype. If the Fight Hype is high, it means that fans are on your side which will increase your reputation & you will receive better contracts. EA Sports UFC 3 is similar to its earlier editions featuring mixed martial arts fighting. 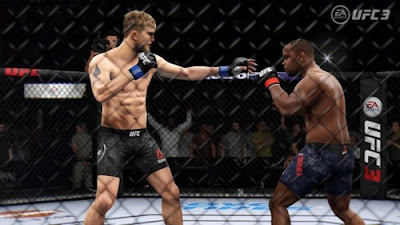 UFC 3 includes a new G.O.A.T. career mode, where the choices you make during your career will have a bigger impact on fighter’s route to greatness. Outside the arena, you will make decisions to gain fans, build hype, earn more money through contracts & you can capture the people’s attention. EA Sports UFC 3 allows you to enter a new type of multiplayer mode created for fast fights. The tournament mode allows you to fight against many rivals in elimination rounds with nonstop damage & exhaustion. EA Sports UFC 3 will include a bigger list of fighters as compared to earlier versions. 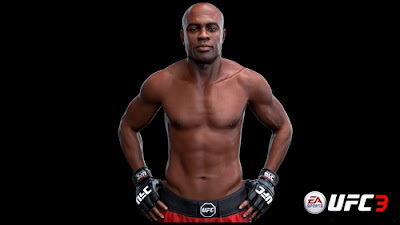 Watch EA Sports UFC 3 Gameplay Walkthrough - Jon Jones vs Anderson Silva. For those who love to watch Mixed Martial Arts then this is the game for you. Really liked the walk through. The fighting is cruelly awesome.